Disney Runs in the Family: Paris? Oui! It's becoming more and more real! 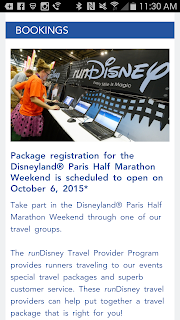 We are really getting our passports and heading to Paris to run at Disneyland in 2016! Today, the first real details were released...and there are a TON of them. This will be different than other runDisney events, so I was sure to spend time pouring over the website to be sure we are in the know. Here's a quick summary of some really important info that's different from some other weekends. 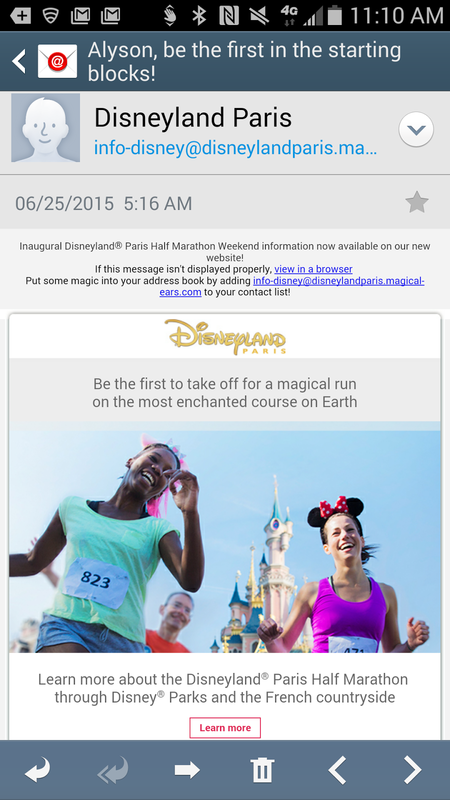 Distance & Expo: It's official: a 5k and a Half is what us adults have to look forward to. According to the site, kids races will start at the 100m. Ummm...where's the diaper dash? I'm still hopeful, but this may mean that Baby S is going to have to sit this race weekend out :( The expo looks to start on Thursday afternoon--not what I had expected! Usually the expo only opens the day before the first event, but it looks like we'll get a little more time. To be honest, this will just force us to get there early, which can only help with the time change adjustment. Castle to Chateau Challenge: YEP! 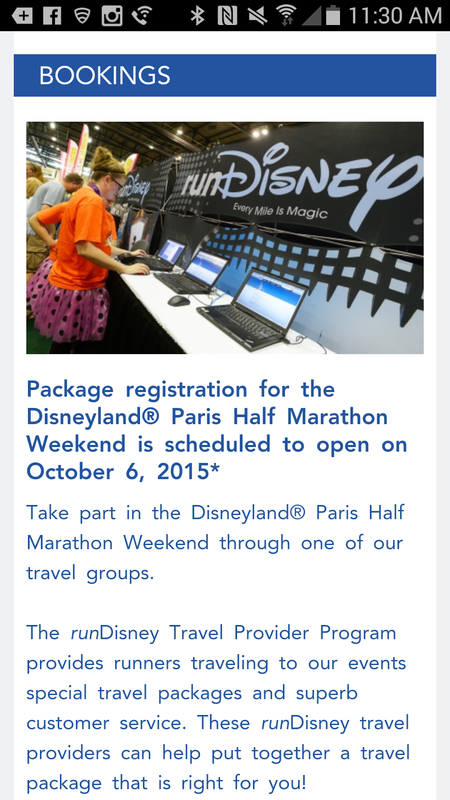 We get a challenge medal if you run Paris plus a half or full in the states! Since we'll be coming from Dumbo, this new C2C will be ours! 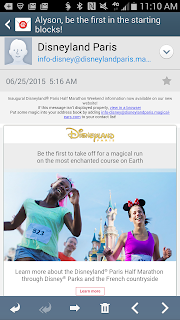 Requirements: If you are an avid runDisney runner, some of this is the same, but there are some really important differences. First, for the half you must be 18 or older. I already have heard the groans of families who had their hearts set on their teens running. The 5k has a 5+ age restriction, no strollers (sorry Baby S). One big difference is that all half marathon runners must provide medial clearance. This is a France requirement--don't even think for a second you'll get away without one. 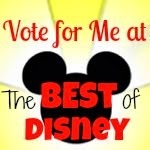 It's a little fuzzy (due to either typos or ???) whether you need to submit this ahead of time, but it was very clear that it must be submitted at packet pickup. 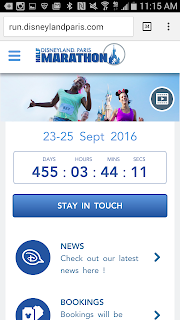 Most of the other stuff is the same standard Disney rules: 16 min/mile pace, have to pickup packets in person, bag check, blah blah blah. Registration: Here's where things get interesting--it looks as if most bibs will be sold as part of a package. No details yet, but get ready for October 6, 2015 when all the info is released. There will be individual bibs available, but with the verbiage, those will be very limited and it kind of all seems like a pain. I wish they would release some of this info earlier than the registration date, but we are starting to research hotels and dates to be ready. We are lucky that we have been there before and know a little about the parks. This will definitely come in handy! 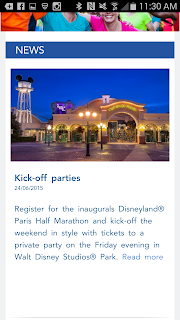 Kick-off Parties: Again, not a ton of info, but it looks like there will be two parties: one Friday, one Saturday. No word if these will be additional costs (though it sound like they are), but hey, when in Paris...isn't that how that phrase goes? That's all for now! Did you find anything I missed? See you in Paris!